ONLY FOUR DAYS TO GO: ANNIE’S BOOK STOP, WHICH HOSTED THE NEHW’S WRITERS WORKSHOP FEBRUARY 4, NEEDS YOUR HELP! 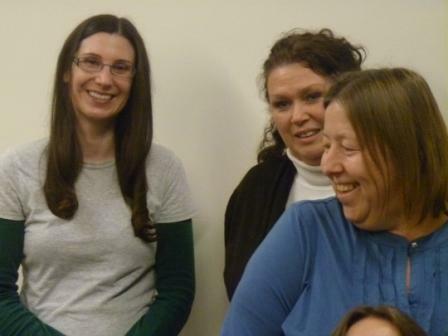 Saturday, February 4, New England Horror Writers members TJ May, Trisha J. Wooldridge, and I presented a day-long writing workshop on the craft, critiquing, and business at Annie’s Book Stop in Worcester, MA. 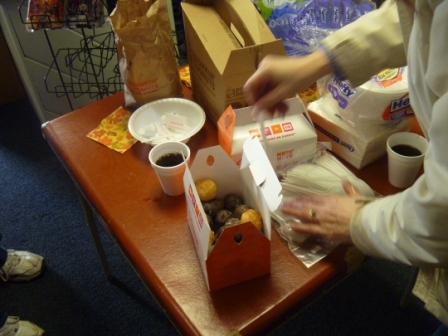 The event included breakfast and lunch and all participants received written professional critique of their submissions. Annie’s Book Stop provides, as you can see from the photos below, a great community service. But Annie’s has an interesting dilemma: their dedicated staff consists of unpaid volunteers, and with the economy being what it is, this can’t go on much longer. Annie’s has created a Peerbacker project to secure some funding. 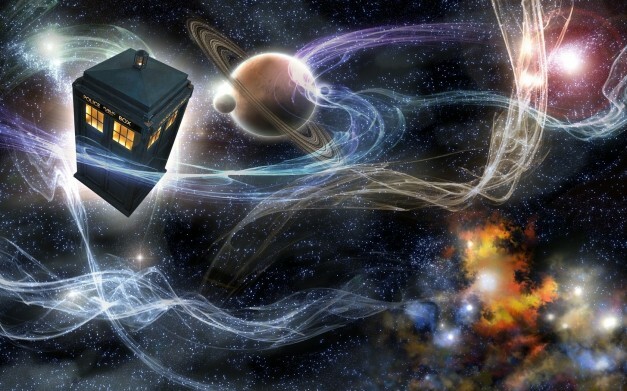 Consider pledging a couple of dollars to keep this community resource and quality bookstore (that has the largest collection of Dr. Who memorabilia and it’s available ONLINE) open and thriving! 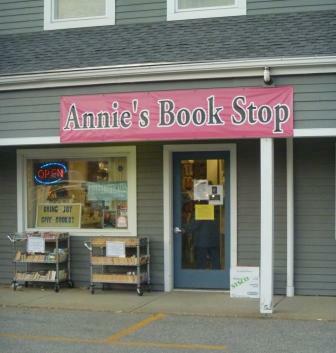 “Annie’s Book Stop of Worcester has passed its critical first year of operations after a turnkey takeover in November 2010 from the prior owners. Despite the challenges created by a horrid economy and the impact of the James Street Bridge closure from July through September of 2011, we have grown our sales by more than 20% and expanded our customer base to include worldwide online sales. “However, to keep succeeding, we need your help. 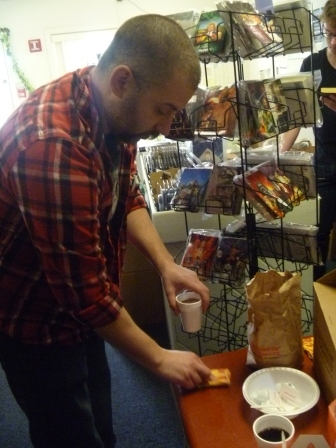 “Our loyal staff of knowledgeable booksellers consists of unpaid volunteers. They have stuck with this bookstore through thick and thin and because they believe in the store’s mission. They are instrumental in helping new customers and serving the bibliophiles of central Massachusetts and beyond though the physical store and online. They deserve paychecks for their dedication. “The city of Worcester deserves to benefit from the jobs created by our employing these volunteers on a permanent basis, the revenue generated, and the lowering of the city’s and state’s unemployment rate. “Our local and worldwide community of authors, artists, performers and creators deserve a venue, both physical and virtual, that showcases their works and talents. 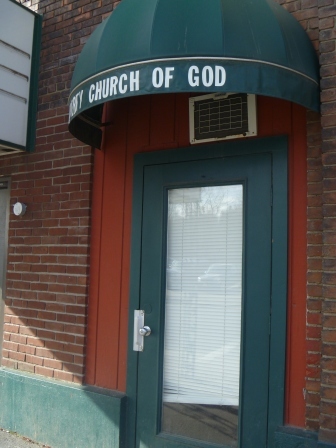 Many already call this bookstore home and grow our community outreach. “The publishing industry deserves a success story in one little corner of the country and the Internet, rather than the constant bad news of storefront after storefront closing. In the meantime? 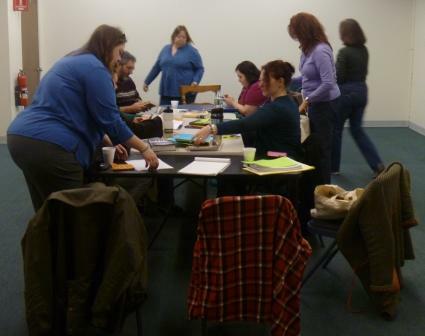 Take a virtual look back at the NEHW Writer’s Workshop hosted by Annie’s Book Stop. Annie's Book Stop in Worcester, MA. Annie’s Book Stop in Worcester, Mass. welcomes us for the day-long Feb. 4 writing workshop. Program participant L’Aura Hladik reaches for a munchkin. Annie’s rented a space across the street in a re-purposed mill; I don’t know if this space is a church now or if this is just what’s left of a church that used to be there. 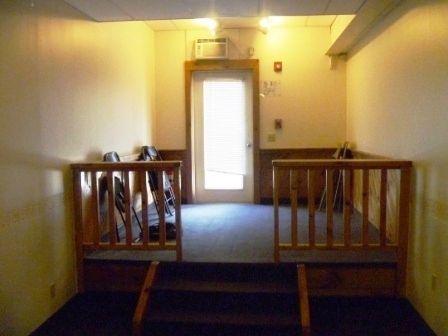 Just inside the entrance of the rented space. Initially, this is where we had set up the tables for our workshop. 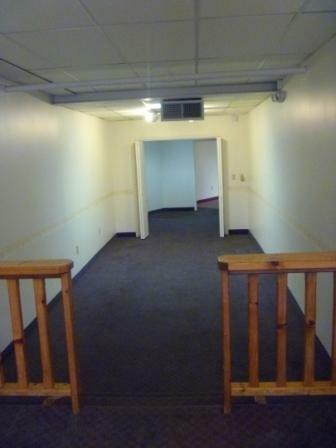 Standing in the rented space, looking back towards the door. To give ourselves more room, we moved everything to a larger space in the back. Here are the participants and presenters settling in. 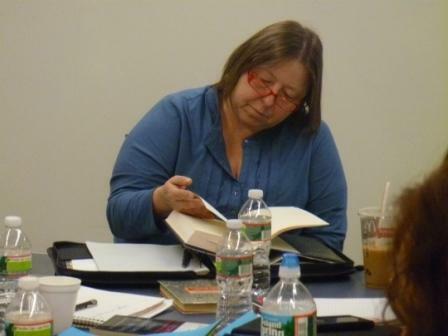 Participant Deborah Sadenwater takes a look at one of the books presenter TJ May brought for everyone to peruse (and add to their library lists). 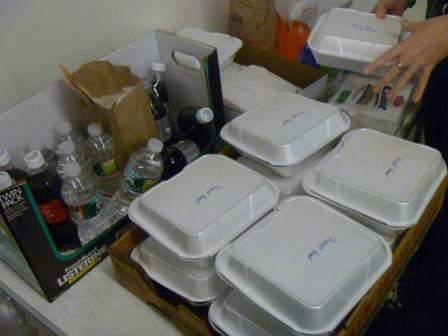 Lunch was an assortment of sandwiches purchased from the Theatre Café in Worcester. The sandwiches—roast beef, turkey, and vegetarian hummus—came with chips and pickles and cookie. 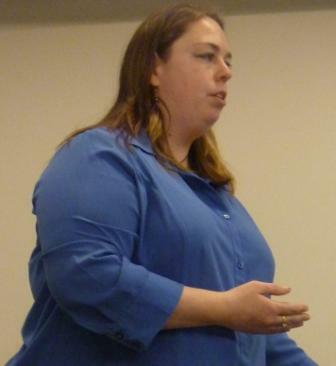 Presenter Trish Wooldridge focused on running your writing life as a business, as well as marketing, copyright issues, accounting, good writing resource websites—and everything in between. 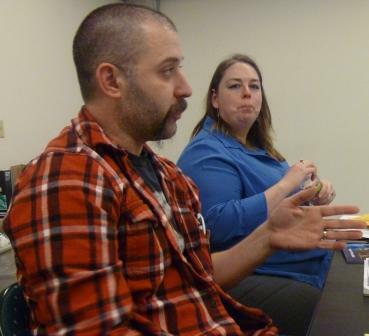 Presenter TJ May discussed craft: scenes, pacing, plot, and other basics. Participants Cheryl Cory, Tracy Vartanian, and Deborah Sadenwater share a moment. 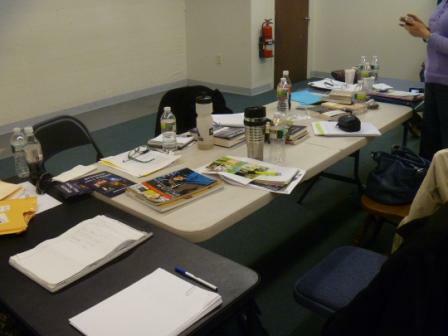 A vacant table during a break. The presenters and participants at the end of the day. 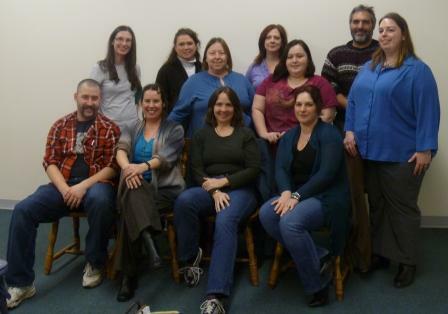 Back row, left to right: Cheryl Cory, Tracy Vartanian, Deborah Sadenwater, L’Aura Hladik, Kris Star, Bob Blois, Trisha Woodridge; front row, left to right: TJ May, Kristi Petersen Schoonover, Lisa Jackson, Jennifer Allis Provost. 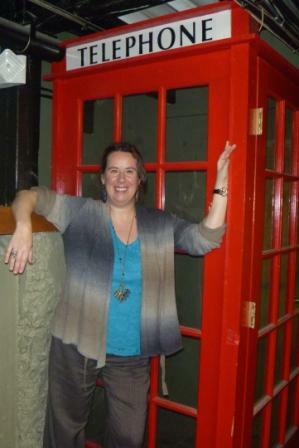 This phone booth was in a large lobby area behind our space, and I couldn’t resist a photo. 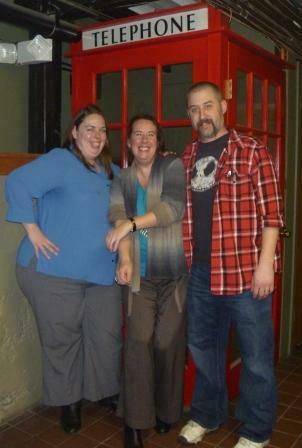 Left to right, Trisha, me, TJ, and the interesting phone booth. We wanted to get in it, but it was welded shut—no surprised, it is across from a lounge, so we figured they did that so drunk people wouldn’t go in and use it for unsavory purposes. 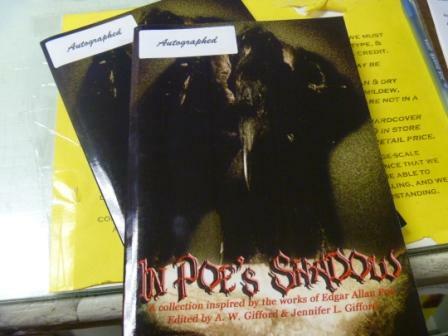 Autographed copies of In Poe’s Shadow, which contains my short story “Vanity,” for sale at Annie’s BookStop, 65 James Street, Worcester, Mass. 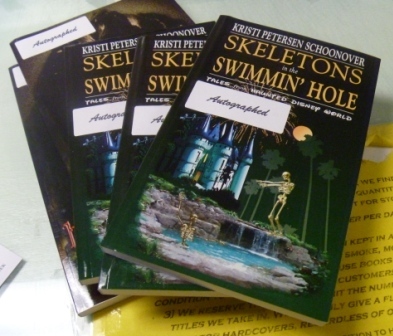 Autographed copies of Skeletons in the Swimmin’ Hole—Tales from Haunted Disney World for sale at Annie’s Bookstop, 65 James Street, Worcester, Mass. 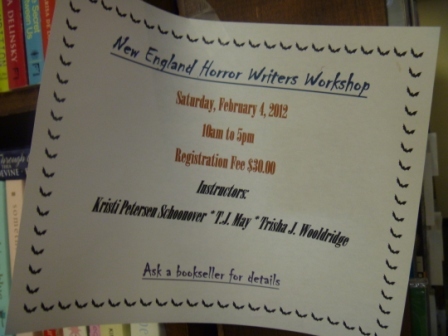 Posted on February 16, 2012, in News and tagged Annie's Book Stop, book stores Massachusetts, Dr. Who Pewter Master's Watch, New England Horror Writers, TJ May, Trisha J. Wooldridge, writing workshops. Bookmark the permalink. Leave a comment.